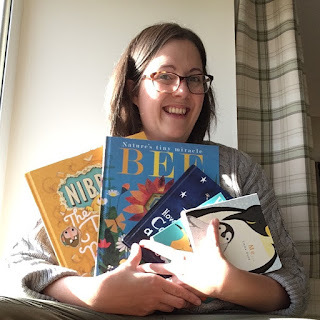 Just been tagged to do #fridayintroductions and it's been a while since I updated you all and we have some new followers so thanks for the tag @addisonreads I'm Kim and am Mummy to these two bairns - BookBairn aged 2 and a half and The Wee Page Turner almost five months. We all love to read/chew books (guess who?). The Wee Page Turner loves bananas and rolling over. BookBairn loves drawing, swings and kinder eggs. I love a cup of tea, five minutes peace and chocolate buttons. We are taking things slow on the blog at the moment as I'm on maternity-leave-of-sorts (I'm a stay at home mum!!) I'm a qualified teacher and a picture book lover! I can think what else to add so if you have any questions I'm happy to Q&A any! I love the illustrations in this fabulous book, in fact I love almost everything illustrated by Britta Teckentrup. I could pour over these pages for hours. Literally hours. They are packed full of beauty. And the poetry of the story about the humble bee elevating it to such a high status is absolutely captivating. I have always had a fond spot for the humble bumblebee after my parents have been calling me "bumblebee" or just "bumble" for years and this book shows they are worth of poetry and art. And that makes it just a bit special for me. "Spot! Spot! Lovable Spot! He's soft and cuddly and he smiles a lot. If there ever was a pup to cheer you up it's Spot. Spot! Spot!" Perhaps an odd choice amongst some of the more artistic and complex picture books I have chosen for this list. But Spot was part of my childhood - my brother's favourite - and I remember him fondly. We had Spot books, Spot soft-toys and Spot card games. I remember playing 'Happy Families' with oversized cards. I remember that tattered and much-loved and dragged-along toy. I remember reading the stories. And now I love reading him with BookBairn. Simple, fun and easy (and not too long when I need bedtime to commence). I have loved this book long before BookBairn was born. And it was one of the first books that I ever bought for her when she was merely a bump in my tummy. It tells the story of a little boy so filled with wonder about the stars that he decides to try and catch one. And I can't quite say why I find this so enchanting, perhaps it's because I'm fascinated by the world beyond ours, by the stars and the universe so expansive and miraculous that I can relate to feeling small and simply wanted to hold a little bit of that magic in my hand. Oliver Jeffers is also one of my favourite artists. I love the simple style of his drawings that are on second glance far more complex than you may have initially realised. There's a little bit of magic in this story. And the ending is absolutely charming. I chose this one partly because it is BookBairn's favourite and she just loves reading it and I just love reading it with her. This is an ingenious story about a little monster who can't help but nibble his way through books. With layers of illustrations I'm still finding new things hidden even after the many many reads. It really is a brilliant book. But I think I probably knew instantly I would choose this one because of the way it makes me feel. 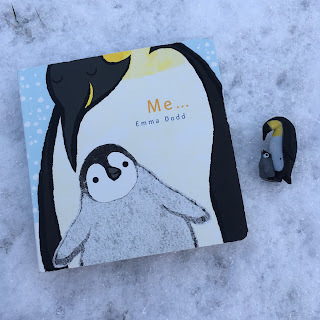 When I read this one with BookBairn and see her little face light up at the joy of the story, the magic of the illustration I can see these are the moments that are turning her into a reader. And that fills me with joy. And that joy makes me love this book. I mention this book on here all the time as one of the loveliest stories that I have ever read. I just adore it. The first hundred times we read it, it filled my eyes with tears. And the next hundred filled my with warmth. And for the next hundred I will hold my rapidly growing little ones even closer. And I will keep this book forever. The world is so big, and moments curled up together so small, it's just perfect poetry for parents to read with children. And I adore the little penguin illustration. He's irresistible. This is the book I wish I had written. And I will cherish it always. So there you have them! 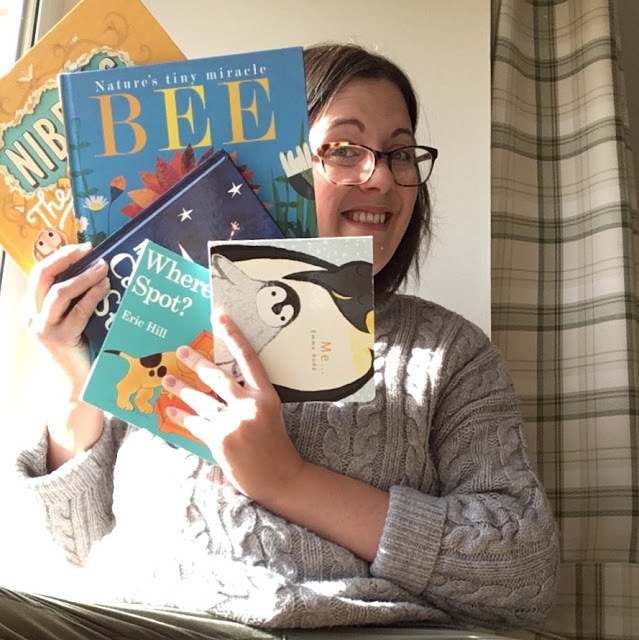 My top five picture books. It was a real challenge and I really did think long and hard about it. But I did finally choose. I wonder if, when I look back, I would choose the same again? Or will future experiences, such as BookBairn reading for the first time, change my mind. 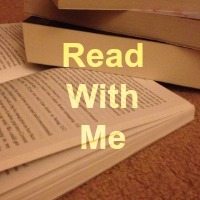 Or will my taste in books change? Or will some as-yet-unwritten picture book blow these others out of the water? Perhaps a book of my own? Who knows? 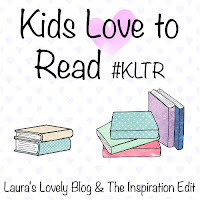 Could you choose just five favourite picture books? I set all my blogging friends a challenge to write a post sharing only five! And if you're not a blogger I'd love to hear from you in the comments below (or on our social media) with your favourites. Your official name was Kimberley Bimberley Bumblebee an I still love Spot. Oh for five minutes peace! I haven't read it in a long time. I must request it from the library! The nibbles book looks SO cute! All of these are great choices.